'TDP Chief Chandrababu Naidu joined YSR Congress Party...YCP President Jaganmohan Reddy himself welcomed him by placing YCP scarf around his neck' - There can't be a more shocking news than this for the Telugu People. This news has been created by none other than Ram Gopal Varma who kept making TDP Leaders coup with sleepless nights by making 'Lakshmi's NTR'. 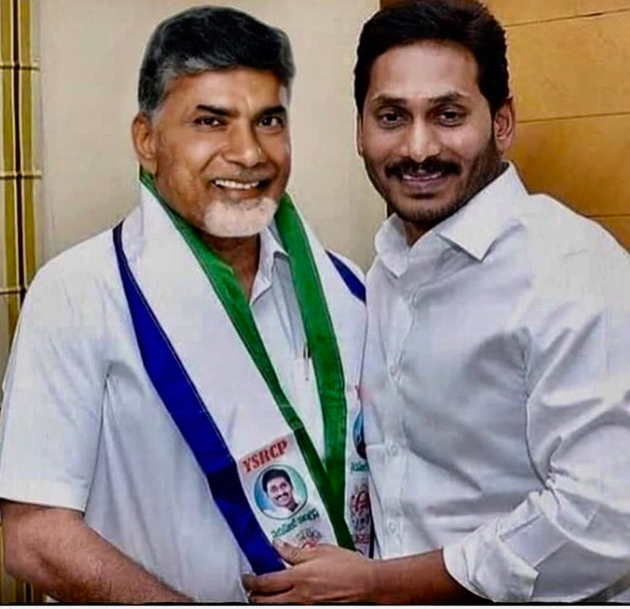 He shared a morphed photograph of Chandrababu Naidu joining YCP in the presence of Jaganmohan Reddy with the caption - 'Wowwww in a shocking twist, just now CBN joined YSRCP'. This post of Varma was liked by 8,000 netizens and 796 people had retweeted it. While YCP Loyalists appreciated RGV, TDP Sympathisers slammed Varma for what he did. 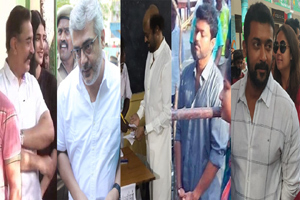 Two hours before this post, Ram Gopal Varma shared a video of KA Paul coming out of polling booth running after casting his vote and dancing. He even expressed the doubt whether if Paul would bite people if he wasn't tied with chains.